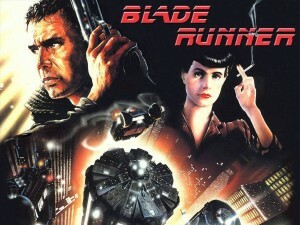 Ridley Scott Will Return To Direct The Next Installment of ‘Blade Runner’!!! I guess Ridley Scott has been enjoying his return to his first big hit ‘Alien’ with his upcoming ‘Prometheus’ film, that he has signed on to produce and direct the next installment of his huge hit sci-fi classic ‘Blade Runner’. He’ll make the film with Alcon Entertainment, producing with Alcon partners Broderick Johnson and Andrew Kosove. Alcon Entertainment’s last big film was ‘The Blind Side’. It’s has not been decided yet whether or not this project will be a sequel or prequel to the 80’s ‘Blade Runner’ and it is also not known if Ridley will reach out to Harrison Ford once again who starred in the 80’s ‘Blade Runner’ that took place in dystopian Los Angeles in 2019, in which organic superhuman robots called replicants escaped and are hiding somewhere on earth. Ford played Richard Deckard, a burnt out blade runner assigned to hunt them down. His tired life gets altered when he himself falls for one of the replicants and struggles to keep her from being destroyed. So who knows if this will be made in 3D and how much this initial announcement will evolve in the writing process. But none the less, I am very excited to hear about this. Blade Runner is easily one of the top five sci-fi films of all time. I’m anxious to see how well ‘Prometheus’ does at the box office. More Harrison Ford??? Yes please. Hollywood Wants Harrison Ford To Play Rick Deckard Again in ‘Blade Runner’ Sequel!! Dave Bautista Signs Onto ‘Blade Runner’ Sequel!!! Harrison Ford Returning For ‘Blade Runner’ Sequel!!! ‘Blade Runner’ screenwriter, Hampton Fancher is Returning With Ridley Scott for ‘Blade Runner’ Sequel!!! This entry was posted on Thursday, August 18th, 2011 at 11:05 am	and is filed under Film, News. You can follow any responses to this entry through the RSS 2.0 feed. You can skip to the end and leave a response. Pinging is currently not allowed. « Superman ‘Man of Steel’ Posts Open Casting Call and Reveals Official Synopsis!!! Men are incapable of growth, change and progress. For men self improvement ends at toilet training.